Why is decolonizing our minds important to racial equity work? How can organizations be open to critical consciousness to ask questions, to challenge established practices, to decolonize our minds to bring new hope and commitments and freeing us from repeating past racist practices. Participants will go through exercises on how to reframe one’s mindset strategically and to our decision-making process through a racial equity lens. Applying a Racial Equity Lens – Practice using an equity lens to analyze, engage, and dismantle structural, institutional, cultural and individual conditions and to understand the causes and symptoms of behaviors and actions. Participants will have the opportunity to go through a working exercise that connects theory to practice. This workshop provides tools how to truly listen and hold serious race-based conversations with friends, family members, or co-workers. Explore why these conversations are difficult and learn practical techniques they can use to initiate honest conversations about race and racism with family, community, and work spaces. This workshop will focus on the detailed racial components within nonprofit institutions and how they operate to maintain a system of power and privilege based on racial status. Participants will gain an understanding of how institutional racism is embedded in and operates within the nonprofit structure. With these foundational concepts, participants will be able to communicate the importance of racial equity within their institution and develop concrete action steps to further the work. This workshop will focus on the class formation within United States and the intersectional oppressions of both. How class and race have been used to divide groups from collectively resisting oppression. Participants will learn how to identify class culture and identity, and develop strategies to dismantle classism within the workplace. This two-part workshop on Internalized Racial Oppression: Superiority/ Inferiority will be conducted simultaneously for participants will comprehend and unpack their own internalized racial oppression. For white participants, they will define and identify how internalized racial superiority is a collective identity of entitlements, empowerment and access to institutional power expressing itself as unearned privileges and invisible advantages for white people. In conjunction, the internalized racial inferiority workshop will provide protected space where participants of color can gain an understanding of negative and inferior concepts and biases. Trainers will use imagery, social media, and implicit messages to re-enforce the negative standing of people of color in our society. The workshop will also unpack the psychological and social consequences of internalized racial inferiority and it’s impact on people of color. If possible, New Directions Consulting encourages space be provided for multi-racial participants who may experience internalized inferiority differently. After the breakout workshops, participants will convent back together to reflect and go deeper on how participants can dismantle their own racial oppression, along with understanding the role of white allies in the racial equity work. Each group will be provided with information and tools to challenge these definitions and create liberating practices. Throughout history, United States has continued to marginalize and silence the voices of indigenous populations and people of color. Even today, white supremacy exists through the actions of White Privilege. How does our society promote racist norms and values as part of upholding White Supremacy? The workshop will examine and provide critical analysis of how the following five components: White Fragility, White Gaze, White Innocent, White Silence, and White Tears are the foundation of White Privilege. Participants will have the opportunity to engage with each other through small group dialogs to unpack and deepen their understanding of White Privilege and its impact on our norms and values. This training will look at how cultural racism re-enforces racial superiority and inferiority through ideologies, ideas, reasoning, arguments and notions. Participants will gain an understanding of how cultural racism supports structural, institutional, and individual racism through policies, programs and practices. Participants will have the opportunity to develop strategies to build a truly inclusive organizational culture. The goal of this training is to offer suggestions and explore options on how to get white men to acknowledge and be accountable to their power and privilege. The training will introduce the White Male Anti-Racist Continuum and invite participants to explore best practices for engaging white men in the racial justice movement. Multi-media format through videos and presentations to highlight training topics. Deep listening methods to explore individual’s resistance in discussing race and racism. Storytelling techniques to examine one’s own prejudice and biases. 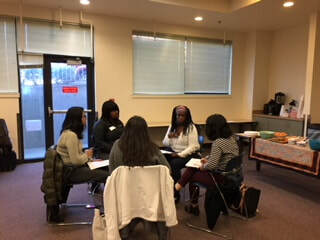 “Chalk talk” activity for participants to express and connect with others through a silence writing exercise on their thoughts, feelings and concerns on race, power and privilege. Writing exercise as a cathartic method to release past and present fears, doubts and other emotions during anti-racist trainings. Using imageries and other graphics to identify racist practices in the workplace and in our communities. Case studies on racist incidents at the workplace and to create alternative narratives to resolve them. Using the Theater of the Oppressed to explore and deepen the practical usage of anti-racism knowledge. Race-based caucusing and affinity groups to provide protected spaces for people of color away from the white gaze. Problem solving group activity on identifying challenges and creating solutions for organizational changes. Tree of Life exercise to support and share collective anti-racism strategies. “Star Power” an interactive participatory game focusing on power and privilege.